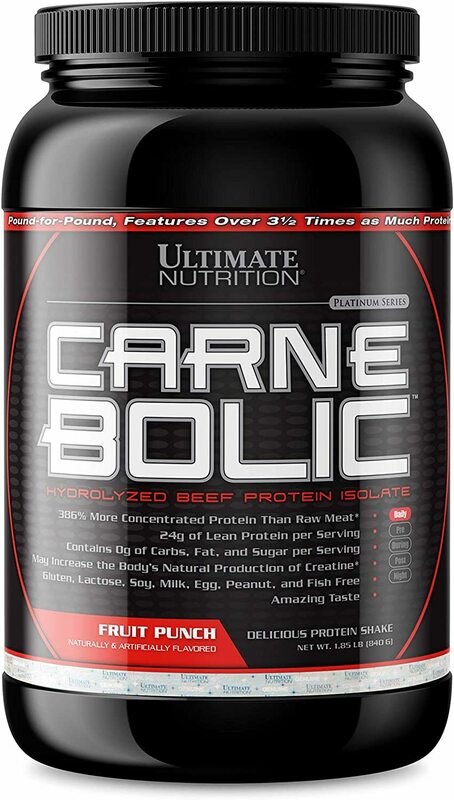 Ultimate protein blend (pea protein isolate, wheat protein concentrate, hydrolyzed wheat protein isolate), natural and artificial flavors, canola oil, ultimate enzyme blend, (protease, bromelain, papain), sucralose, sodium chloride, and acesulfame potassium. 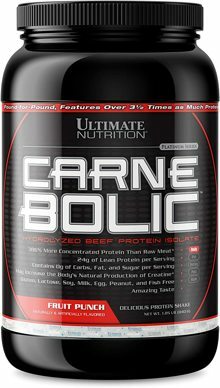 Mix one scoop (28 grams) Ultimate Nutrition® Protein Isolate in 12 fl. oz. (355ml) of water or your favorite juice. Mix thoroughly and drink immediately. We recommend you mix Protein Isolate in a cup with a spoon and add the water before the powder. We do not recommend using a shaker cup or blender as excessive foaming may occur. For a thicker shake use less water and for a thinner shake use more water. Use entire container within 30 days of opening. Consume Protein Isolate shakes as needed during the day and immediately after each workout. Contains wheat. Use this product as a food supplement only. Do not use for weight reduction. Do not refrigerate. Do not use if seal is broken or missing. Keep out of reach of children. Protect from heat, light, and moisture. Store in a cool, dry place; 16-27 degrees C (60-80 degrees F). Wheat Protein Isolate, Cocoa, Natural & Artificial Flavors, Ultimate Enzyme Blend (Protease, Elastase, Trypsin), Sucralose, Neotame, Acesulfame Potassium, and Soy Lecithin. Mix one scoop Wheat Protein Isolate in 9 fl. oz. (266ml) water or your favorite juice. Consume 1-4 servings daily, or as recommended by your health care professional. Why are branched-chain amino acids (BCAAs) important to athletes? Can enzymes be taken with other nutritional supplements? Gleeson M, Nieman DC, Pedersen BK. Exercise, nutrition and immune function. J Sports Sci. 2004 Jan;22(1):115-25.